He has built up his expertise through international consulting, contract and permanent engagements in Australia, New Zealand and in developing countries such as South Africa, Botswana, Samoa, Tonga, Nigeria, East-Asia and Bangladesh as well as through many years in tertiary and higher education. Assoc Prof Uys is keen to work in both developing and developed settings to consult, research, teach and implement strategies to blend emerging and traditional information and communication technologies for human development in face-to-face and ODL. He believes that the goal in education and training has to be to provide a better quality of life for educational participants by increasing the access to, enhancing the quality of, emphasising a strong value-base of, and blending traditional and emerging technologies in education to create rich and meaningful learning experiences. He is particlurly interested to contribute to sustainable human development in developing countries through managing appropriate projects such as the use of knowledge management and information and communication technologies (ICTs) in education. Assoc Prof Uys has a solid grasp of the pedagogies and ICT dimensions of open, blended, distance and e-learning in educational settings. He has been a leader and manager in tertiary and higher education for over 20 years. - He was contracted in 2019 by the Botswana Open University to assist them to review and revise the Online Learning, Assessment and Student Support Strategy and develop an Implementation Plan. - Investigated "What works to improve learning outcomes in primary education in East-Asia" for East Asia and Pacific Regional Office (UNICEF) in the areas "Learner and teacher focused ICT education platforms", “Inclusive education for children with disabilities”, "21st century skills in the primary school years" and “High quality teaching and learning materials”, by conducting a meta-analysis of research on these intervention areas in order to establish an evidence base for UNICEF, partner and government programmes in the region (of 25 countries) and to inform future plans, programmes and policies. - He was contracted in 2018 by the Botswana Open University to assist them to develop a Learning Analytics Policy, as well as developing a number of online courses based on open learning principles. - Technical assistance to capacitate Department of Higher Education and Training (DHET) staff, Pretoria in Open Learning for Technical and Vocational Education and Training (TVET) and Community Education and Training (CET), including to build the knowledge and understanding of Department staff in the extent and range of Open Learning approaches, Open Educational Resources, and the use of multi-media and materials development processes (Electronic, Online, Open Learning). Ten missions to South Africa in 2018/2019. - He was contracted in 2018 by the Commonwealth of Learning to review and re-design a national policy and a strategy for the TVET sector in Nigeria on Open, Distance, Flexible and eLearning (ODFEL); a national Procedures ODFEL Manual for the TVET polytechnics; and a new generic Institutional TVET Policy template for ODFEL; and to facilitate a stakeholders meeting in Kaduna, Nigeria to obtain feedback on the above and to finalise the next drafts; and in 2017 assist the National University of Samoa (August) and the Tonga Institute of Higher Education and the Tonga Institute of Education (November) to design and develop blended, online courses using Moodle. - In 2014 and 2015 he has done a consultancy at a university in Bangladesh in collaboration with the Commonwealth of Learning (COL), using an approach adopted by COL to improve quality assurance systems in Higher Education and post-secondary institutions. The consultancy included conducting an online survey and analysing the results; on-site training of the university's team on the quality assurance methodology that included a self-review exercise and internal verification; as well as on-site external verification of the QA process. - He was further contracted in 2003 by the British Council to lead a team of four specialists to create programme options for funding by the European Union and the Government of Botswana towards a coordinated and strategic approach for the rollout of eLearning in Botswana. - In 2000 at the Cape Technikon (now integrated in the Cape Peninsula University of Technology) he established the organisational, human, technical and support infrastructure for using eLearning at Cape Technikon. - He provided expert advice to Fuji Xerox in June 2012 to re-imagine their services in increasingly mobile, digital and paperless learning and teaching environments. He has further engaged in consulting visits regarding eLearning at nine Southern African universities in 1998 and 1999. Twenty years' experience of working in developing countries namely South Africa, Botswana, Bangladesh, Tonga and Samoa. He has experience in open and distance learning (ODL) as course developer, tutor and student. He has written one book (co-author); five chapters in books; 13 refereed scholarly journal articles; 28 papers in refereed conference proceedings; three symposia in refereed conference proceedings; 30 invited key notes, posters and presentations; and 25 conference papers and workshops (not in refereed conference proceedings). and nearly 40 further professional development activities. He is further interested in progressing the appropriate use of emerging educational technologies in Christian settings. In all of the above he aims to glorify his God and Saviour. Received a PhD in Communications and Learning Technologies in October 2000 by the Victoria University of Wellington, New Zealand. The title is "Towards The Virtual Class: Key Management Issues In Tertiary Education". His thesis is that the effective and widespread use of online learning/networked education in an institute requires a new form of management for all aspects of its operations: networked educational management. The thesis further presents a set of heuristics for managing the implementation of online learning/networked education in conventional tertiary education. In 2001 these heuristics have been incorporated into the "LASO (Leadership, Academic & Student Ownership and Readiness) Model for Technological Transformation in Tertiary Education". Graduate Certificate in Theology at Charles Sturt University, Australia. 2014. Graduate Certificate in University Leadership and Management at Charles Sturt University, Australia. July 2007. Advanced Diploma in Tertiary Teaching at Massey University at Wellington, New Zealand in 1997. Completed a B.Comm.Hons in 1994 at the University of South Africa in Business Economics focussing on Information Management, Strategic Management and Management Science. Completed a B.Comm (majoring in Mathematics and Economics) at the University of Stellenbosch, South Africa in 1978. Completed the first year of a Bachelor in Theology (B.Th) in 1984 at the University of South Africa. A number of smaller courses in Christian ministry have also been completed. Associate Professor (since September 2011) and Director, Learning Technologies, Division of Learning and Teaching (DLT) at Charles Sturt University (CSU), Australia since January 2009; concurrently acting Director, Learning Resources since February 2019; Manager, Systems Development, DLT at CSU, Australia since January 2009; Manager, Education Design & Educational Technology at CSU, Australia from February 2005 to December 2008. He further provided expert advice as consultant in June 2012 to Fuji Xerox to reimagine their services in increasingly mobile, digital and paperless learning and teaching environments. Senior expert for the EU: Technical assistance to capacitate Department of Higher Education and Training (DHET) staff, Pretoria in Open Learning for Technical and Vocational Education and Training (TVET) and Community Education and Training (CET), including to build the knowledge and understanding of Department staff in the extent and range of Open Learning approaches, Open Educational Resources, and the use of multi-media and materials development processes (Electronic, Online, Open Learning). Ten visits to South Africa in 2018/2019. 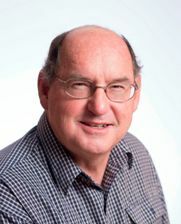 Systems Development Manager in the Computer Services Department of Port Elizabeth Technikon (1990 - 1993) and before that analyst programmer and senior programmer at the Technikon (June 1985 - 1990). Senior programmer, programmer, assitant programmer with SANLAM (one of the big life insurance companies in South Africa) (1978 - May 1985). Assist the Commonwealth of Learning (COL) to review and re-design a national policy and a strategy for the TVET sector in Nigeria on Open, Distance, Flexible and eLearning (ODL); a national Procedures ODL Manual for the TVET polytechnics; and a new generic Institutional TVET Policy template for ODL; and to facilitate a stakeholders meeting in Kaduna, Nigeria to obtain feedback on the above, and to finalise the next drafts. Facilitated a three day Workshop on Developing Blended Courses using Moodle at the National University of Samoa (NUS), Apia, Samoa, through the Commonwealth of Learning (COL). Contracted by the Commonwealth of Learning to assist the Tonga Institute of Higher Education and the Tonga Institute of Education to design and develop blended, online TVET courses using Moodle..
Consultancy at a university in Bangladesh in collaboration with the Commonwealth of Learning (COL), using an approach adopted by COL to improve quality assurance systems in Higher Education and post-secondary institutions. The consultancy includes conducting an online survey and analysing the results; on-site training of the university's team on the quality assurance methodology that includes a self-review exercise and internal verification; on-site external verification of the QA process; as well as the development of a QA Policy for the University. Following the above, developed a fully online course (in Moodle) for the Commonwealth of Learning on their QA model for tertiary education called Commonwealth of Learning Review and Implementation (COL RIM). Technical assistance to the Botswana Open University to review and revise the Online Learning, Assessment and Student Support Strategy and develop an Implementation Plan. Contracted by the Botswana Open University to assist them to develop a Learning Analytics Policy, as well as developing a number of online courses based on open learning principles. Investigated "What works to improve learning outcomes in primary education in East-Asia" for East Asia and Pacific Regional Office (UNICEF) in the areas "Learner and teacher focused ICT education platforms", “Inclusive education for children with disabilities”, "21st century skills in the primary school years" and “High quality teaching and learning materials”, by conducting a meta-analysis of research on these intervention areas in order to establish an evidence base for UNICEF, partner and government programmes in the region (of 25 countries) and to inform future plans, programmes and policies. 2001, 12 – 16 November. Invited presentation.The Use of ICT in the Teaching-Learning Process: Staff Development for Online Teachers. International Conference on Staff Development in Higher Education, Universidade Eduardo Mondlane (UEM), Maputo, Mozambique. Senior expert 2019: Assist Botswana Open University to review and revise the Online Learning, Assessment and Student Support Strategy and develop an Implementation Plan. Expert 2019: Investigatied "What works to improve learning outcomes in primary education in East-Asia" for East Asia and Pacific Regional Office (UNICEF) in the areas "Learner and teacher focused ICT education platforms", “Inclusive education for children with disabilities”, "21st century skills in the primary school years" and “High quality teaching and learning materials”, by conducting a meta-analysis of research on these intervention areas in order to establish an evidence base for UNICEF, partner and government programmes in the region (of 25 countries) and to inform future plans, programmes and policies. Senior expert 2018: Technical assistance to the Botswana Open University to develop a Learning Analytics Policy, as well as developing a number of online courses based on open learning principles. In 2018: Senior expert for the Commonwealth of Learning (COL): review and re-design a national policy and a strategy for the TVET sector in Nigeria on Open, Distance, Flexible and eLearning (ODL); a national Procedures ODL Manual for the TVET polytechnics; and a new generic Institutional TVET Policy template for ODL; and to facilitate a stakeholders meeting in Kaduna, Nigeria to obtain feedback on the above and to finalise the next drafts. In 2017: Senior expert for the Commonwealth of Learning (COL): assist the Tonga Institute of Higher Education and the Tonga Institute of Education to design and develop blended, online TVET courses using Moodle. Facilitated a three day Workshop on Developing Blended Courses using Moodle at the National University of Samoa (NUS), Apia, Samoa. Aug 2016 - March 2017: Senior expert for the EU: Exploring options for a new EU-ACP Research and Innovation programme that will both meet the needs and demands of ACP countries in the context Agenda 2030, particularly SDG 9 and its targets, and bring an added value at collective intra-ACP level. Lead consultant to provide the European Commission and the ACP Secretariat with recommendations on possible options for interlinked and complementary actions for the contribution to the improvement of ACP countries' development policies, research and innovation and TVET capacities under the 11th EDF Intra-ACP programme. Oct - Nov 2016: Expert for the EU: Technical assistance to consolidate the scope for the National School of Government (NSG) Enterprise Architecture. Perform organisational development and business process design and development to further develop the ICT capability of the NSG in delivering training and development programmes efficiently and effectively. During May and June 2016: Expert for the EU: Work with a consultancy agency to comment on the European Commission document "Towards an improved delivery of development aid for digitisation" in the form of an Advisory Dossier. Advice is provided on the use of ICT and the impact of digitisation in development in both education and culture. During November 2014 to March 2016: Senior expert for the Commonwealth of Learning (COL): consultancy at a university in Bangladesh in collaboration with the Commonwealth of Learning (COL), using an approach adopted by COL to improve quality assurance systems in Higher Education and post-secondary institutions. The consultancy includes conducting an online survey and analysing the results; on-site training of the university's team on the quality assurance methodology that includes a self-review exercise and internal verification; on-site external verification of the QA process; as well as the development of a QA Policy for the University. Following the above, developed a fully online course (in Moodle) for the Commonwealth of Learning on their QA model for tertiary education called Commonwealth of Learning Review and Implementation (COL RIM). 2017- 2018. Lead Contact for Oceania for the International Council for Open and Distance Education (ICDE) Focal Point on Quality in Higher Education, and member of the ICDE Working Group for Quality. The Working Group is contributing and delivering into both the ICDE’s own strategic work, and the UNESCO International Conference on Quality Assurance "Achieving Sustainable Development through a diverse provision of Higher Education", to be held at UNESCO Head Quarter in Paris, June 2018. Mentored, through the Endeavour Executive Fellowship funded by Australian Government, Dr. Md. Shafiqul Alam, Director (Planning & Development) and Joint Director (Training and Research) of Bangladesh Open University from March- June 2016. The focus of the Fellowship was professional and leadership development of the Fellow on learning and teaching technologies. Consultant in June 2012 to Fuji Xerox to reimagine their services in increasingly mobile, digital and paperless learning and teaching environments. Member of the International Program Committee (IPC) of the 8th International Conference on Information Technology Based Higher Education and Training (ITHET2007) that was held in Kumamoto, Japan from 10 -13 July 2007. Was invited by Dr David Woodhouse of the New Zealand Universities Academic Analysis Unit to be part of the six person "1999 Working Group on Quality Assurance for the Virtual University"
Uys, P.M., Brann, J., Klapdor T., Smith, M. (2012). Mobile Learning in eHealth: Increasing Learning Options by Supporting the Mobility of Learners in Developing Contexts. In Mathias, I. and Monteiro, A. (Eds). Gold e-Book ehealth and tele-education. EdUERJ:University Hospital Pedro Ernesto of State University of Rio de Janeiro. ISBN 978-85-7511-238-0. pp.573-603. Wozniak, H., Uys P.M., Mahony, M J (2012). Digital communication in a networked world. In Higgs, J., Ajjawi, R, McAllister L. Trede, F., Loftus, S, (Eds). Communicating in the Health Sciences, 3rd edition. Melbourne: Oxford University Press. pp. 150 – 162. Giannini-Gachago, D., Molelu, G.B, Uys, P.M. (2005). “Analysing the impact of introducing e-Learning in higher education within developing settings: the case of the University of Botswana”. In the book Grabowska, A., Cellary, W. (Eds). E-learning: experiences, cases, projects. Poznan: The Poznan University of economics publishing house. ISBN 83-7417-122-7, pp. 29-38. Uys, P.M. (2001). Managing Tertiary Education in a Global Virtual Environment: Networked Educational Management. In Hazemi, R. & Hailes, S. (Eds.). The Digital University: Building a Learner Community. London: Springer-Verlag. Uys, P.M. (1998). Towards the Virtual Class: On-line Hypermedia in Higher Education, 55-72. In Hazemi, R., Hailes, S. & Wilbur, S. (Eds.). The Digital University: Reinventing the Academy. London: Springer-Verlag. Uys, P. M. (2010, December). Implementing an open source learning management system: A critical analysis of change strategies. Australasian Journal of Educational Technology, 26(7), 980-995. Created the "LASO (Leadership, Academic & Student Ownership and Readiness) Model for Technological Transformation in Tertiary Education" based on his doctorate research and subsequent engagements. Uys, P.M. (2007). Enterprise-Wide Technological Transformation in Higher Education: The LASO Model. International Journal of Educational Management (ISSN: 0951-354X), Emerald, UK. Campbell, M. & Uys, P.M. (2007). Identifying factors that influence the success of ICT in developing a learning community: the CELT experience. Campus-Wide Information Systems (CWIS), Emerald, UK, Vol 24, Number 1, 2007. Kiravu, C, Mothibi, J, Uys, P.M. (2004) in Campus Wide Information Systems (CWIS) "Implementing the LASO model: Development of a pilot online course at the Faculty of Engineering and Technology, University of Botswana", Vol 21, Issue 3 (2004), pp. 125-131. Uys, P.M. (2004). Campus Wide Information Systems (CWIS) "A Syntagm of Networked Educational Management: Case Study University of Botswana", Vol 21, Issue 1 (2004), pp. 22-28. Uys, P.M. (2003). The International Review of Research in Open and Distance Learning (IRRODL). Critical Success Factors in The Infusion of Instructional Technologies for Open Learning in Development Settings: The Case of the University of Botswana. Uys, P.M. & Shemi, A. (2003). Towards e-Learning in Southern Africa: Vision and Imperatives, Journal of Public Administration, Vol38, No 3.1, September 2003. Uys, P.M.,Nleya, P and Molelu, G.B. (2003). Educational Media International (EMI) with "Technological Innovation and Management Strategies for Higher Education in Africa: Harmonizing Reality and Idealism", Vol 40, 2003. Uys, P.M. (2002). Campus Wide Information Systems (CWIS) "Networked Educational Management: Transforming Educational Management in a Networked Institute", Vol 19 Number 5O, October-November 2002, pp. 175-181. Sanoto, D. and Uys, P.M. (2018, October). Breaking Learner Isolation, through ICTs in Teacher Education: The case of the Bachelors Degree in Education, Primary, at Botswana Open University. 8th Annual Teacher Education at a Distance Conference 2018. Drakensburg Sun Resort, KZN, South Africa. Uys, P.M. & Douse, M. (2017, 5 - 7 Sept). Digitisation, Learning and Teaching for Sustainable Development: Curriculum, Cognition and Context in the Digital Age. Paper presented at the 14th International Conference on Education and Development (2017 UKFIET), Learning and Teaching for Sustainable Development: Curriculum, Cognition and Context, Oxford, UK. Kamal, M. A., Uys, P.M., Sultana, S.A. (2016). Using Technologies and OER to Enhance Efficiency and Effectiveness of Higher Education in Bangladesh: Opportunities and Challenges. Pan-Commonwealth Forum 8 (PCF8). Kuala Lumpur, Malyasia. Bossu, C., Ward, L., Wills, S., Alexander, S., Sadler, D., Kandlbinder, P., Uys, P.M. (2016, 27 - 30 Nov). A national strategy to promote Open Educational Practices in higher education in Australia. Paper presented at the 33rd International Conference on Innovation, Practice and Research in the Use of Educational Technologies in Tertiary Education (ASCILITE 2016): Show Me The Learning, Adelaide, SA. Welsh, S. & Uys, P. (2015). Dreaming of Electric Sheep: CSU’s Vision for Analytics-Driven Adaptive Learning and Teaching. In T. Reiners, B.R. von Konsky, D. Gibson, V. Chang, L. Irving, & K. Clarke (Eds. ), Globally connected, digitally enabled. Proceedings ascilite 2015 in Perth (pp. CP:246-CP:251). Uys, P.M. (2015, October). Using the LASO model to review a learning management system implementation to enhance distance e-learning Proceedings of the 26th ICDE (International Council for Distance Education) World Conference. Sun City, South Africa: ICDE. Gregory, B., Uys, P., & Gregory, S. (2014, December). The role of instant feedback in improving student understanding of basic accounting concepts. In B. Hegarty, J. McDonald, & S.-K. Loke (Eds. ), Rhetoric and Reality: Critical perspectives on educational technology. Proceedings ascilite Dunedin 2014 (pp. 634-637). Ridolfo, H., Gregory, Klapdor, T., Nagel, L., Kruger, J., Uys, P.M. (2012). Conducting and Reporting on Educational Technology Research for Institutional Impact. Proceedings of ascilite Wellington 2012 conference. Tinkler, J; Uys, P; Dalgarno, B; Carlson, L; Crampton (2012). A 2010 Snapshot of Educational Technology use by CSU students. Proceedings of ascilite Wellington 2012 conference. Uys, P.M., Dalgarno, B., Carlson, L., Crampton, A. and Tinkler, J. (2011). A 2010 Snapshot of Educational Technology use by Teaching Staff of Charles Sturt University. In G. Williams, P. Statham, N. Brown & B. Cleland (Eds. ), Changing Demands, Changing Directions. Proceedings ascilite Hobart 2011. (pp. 1255 – 1269). Uys, P.M. (2009, April). Change and innovation strategies during the implementation of an open source LMS: an Australian case study. Paper presented at the V International Conference on Multimedia and ICT in Education (m-ICTE2009). Lisbon, Portugal. Campbell, M. & Uys, P.M. (2006, July). “Identifying factors that influence the success of ICT in developing a learning community: the CELT experience.” Seventh Annual International Conference on Information Technology Based Higher Education & Training (ITHET 2006). July 10 - Thursday July 13, 2006. University of Technology, Sydney, Australia. Uys, P.M. & Campbell, M. (2005, December). “Structure and sustainability: an analysis of the organisation of educational technology leadership and support at Australian universities.” The Australasian Society for Computers in Learning in Tertiary Education (ascilite) Annual Conference Balance, Fidelity, Mobility: Maintaining the Momentum? December 4-7, 2005. Brisbane, Australia. Uys, P.M. (2003, June). "Quality in the Management of Technological Transformation: A Framework for Developed and Developing Environments" published in the proceedings of 2003 EDEN (European Distance Education Network) Annual Conference, 15-18 June 2003, Rhodes Island, Greece. Foster, J.D.G., Masoso, O.T., Sebusang, S.E.M., Uys, P.M. (2002, September). "A Study of How Engineering Students Share Learning" in Durban, South Africa from 3-4 October 2002 at the "3rd Southern African Conference on Engineering Education". Uys, P.M., Nleya, P.N & Molelu, G.B (2001, November). "Technological Innovation and Management Strategies for Higher Education in Africa: Harmonizing Reality and Idealism" in Nairobi, Kenya in November 2001 at the "International Conference On Transformation On Higher Education Management And Leadership For Efficacy In Africa". Uys, P.M. (2001, July). "Networked Educational Management: Transforming Educational Management in a Networked Institute" in Tampere, Finland in June 2001 at the "World Conference on Educational Hypermedia and Telecommunications (ED-MEDIA)". Uys, P.M. & Siverts, S.A (2001, April). "Managing Technological Transformation In Higher Education: A Southern African Perspective" at the "22nd World ICDE (International Council for Distance Education) Conference" in Dusseldorf, Germany. April 2001. Uys, P.M. (1998, April). Managing Tertiary Education in a Global Virtual Environment: Networked Educational Management. Proceedings of Towards the Global University II: Redefining Excellence in the Third Millennium Conference. Cape Town: University of Central Lancashire. Uys, P.M. (1999, July). "Towards the Virtual Class: Technology Issues from a Fractal Management Perspective" in Seattle, USA at the "World Conference on Educational Hypermedia and Telecommunications (ED-MEDIA)". Uys, P.M. (1998, April). "New Educational Technology and the Global Village: Key Management Issues In Higher Education" in Tours, France at the "Towards the Global University: Strategies for the Third Millennuim" Conference. Uys, P.M. (1998, June). Presented a case study on the growth and work of the hydi Educational New Media Centre titled "From Vision To Reality: The Development Of Distributed On-Line Education at Massey University at Wellington" at the "Open and Flexible Learning Technologies" conference at Massey University. Uys, P.M. (1997, June). "Managing a Hypermedia Courseware Development Project: Dynamics and Conclusions" at " the 18th World ICDE (International Council for Distance Education) Conference" in Pennsylvania, USA. Gunn, C. & Uys, P. M. (2011). From funded project to sustainable product: elearning innovations in transition. In G. Williams, P. Statham, N. Brown & B. Cleland (Eds. ), Changing Demands, Changing Directions. Proceedings ascilite Hobart 2011. (pp.520-521). Sankey, M., Brown, M., Uys, P. M. (2011). Do the ACODE benchmarks still cut the mustard or is eLearning maturity just a dream? There is light at the end of the tunnel. In G. Williams, P. Statham, N. Brown & B. Cleland (Eds. ), Changing Demands, Changing Directions. Proceedings ascilite Hobart 2011. (pp.1121-1122). Uys, P.M. (2017, March). Blended learning and cutting-edge learning technologies. Invited presentation at the 9th Annual Blended Learning Conference 2017. Sydney, Australia. Uys, P.M. (2015, April). The Use of Educational Technologies in Distance and Higher Education. Invited presentation to 152 staff members at the Bangladesh Open University. Gazipur, Bangladesh. Wells, S. & Uys, P.M. (2014, February). Learning analytics in an era of digitisation. Invited joint presentation at the 2014 Australian E-Learning Congress. Melbourne. Uys, P.M. (2013, July). MOOCs in higher education: a critical reflection of its potential and pitfalls. Invited presentation at the MOOCs 2013 Conference. Melbourne. Uys, PM (2012, November). The CSU mLearn project. Winner of the best project in 2012. ANZmLEARN Sydney. Uys, P.M. (2012, October). The Dynamics of Mobile Learning in Higher Education. Invited presentation at the MobiLearnAsia 2012 Conference. Singapore. Uys, P.M. (2012, August). Mobile Learning at Charles Sturt University. Invited presentation at the Informa Mobile Learning Conference. Melbourne, Australia. Uys, P.M. (2012, June). Mobile Learning in Higher Education. Keynote presentation at the Australasian Council on Open, Distance and E-Learning (ACODE) 59 workshop. Melbourne, Australia. Buchan, J; Flynn, L; Murdoch, D; Uys, P.M. (2008, December). Poster. A decade of change @ CSU 1999 – 2009. The Australasian Society for Computers in Learning in Tertiary Education (ascilite) Annual Conference. December 1-3, 2006. Melbourne, Australia. Uys, P.M. (2008, November). Using Change Management, Professional Development and Communication Strategies to Support the Implementation of Sakai at CSU. Presentation at the AuSakai conference. Melbourne, Australia. Uys, P.M. (2007, November). Change Management in the Introduction of Sakai at Charles Sturt University. Presentation at the AuSakai conference. Canberra, Australia. Uys, P.M. (2007, August). Energising employees for organisational change at the Strategic HR Management in the Public Sector. Improving Human Resource Frameworks to Align with Organisational Objectives and Achieve Employee Satisfaction on 9th August 2007; Sydney, Australia. Uys, P.M. (2007, July). Enterprise-wide technological transformation and change management: A complex landscape at the LEARNX Asia Pacific eLearning and Training conference and expo; Sydney, Australia. Uys, P.M. (2005, September). Extending the Range of Learning Technologies at CSU: An Open Discussion. Workshop during the Learning and Teaching Conference, Charles Sturt University. Uys, P.M. (2003, June). e-Learning in Botswana and particularly at the University of Botswana during International Federation for Information Processing (IFIP) senior staff visit in preparation for the WITFOR 2005 conference to be hosted in Botswana in 2005. Uys, P.M. (2002, September). Presentation on "eLearning in SADC and the University of Botswana 2002 at the "6th Meeting of the Southern African Development Community (SADC) Technical Committee on Distance Education" hosted by Botswana in Gaborone, Botswana on 6 September 2002. Uys, P.M. & M.K.M Magowe (2002, July). Poster. Breaking the silence online: using Web-based threaded message boards at the University of Botswana as anonymous Q&A forums for open discussion and entry-level counselling on HIV/AIDS. Aids 2002 - XIV World AIDS Conference, July 7 – 12, 2002. Barcelona, Spain. Uys, P.M. (2001, November). "The Use of ICT in the Teaching-Learning Process: Staff Development for Online Teachers; in Maputo, Mozambique at the "International Conference on Staff Development in Higher Education" hosted by Universidade Eduardo Mondlane (UEM). Uys, P.M. (2001, October). 2001 National DVET Seminar “E-Learning at DVET: The First Step” titled "Towards eLearning in Southern Africa: Vision and Imperatives, Myths and Realities" Gaborone, Botswana. Uys, P.M. & Shemi, A. (2001, October). 2001 Knowledge Exchange Learning Partnership (KELP) Seminar organised by the University of Pretoria titled "Towards eLearning in Southern Africa: Vision and Imperatives, Myths and Realities" Gaborone, Botswana. Uys, P.M. (2001, September). Opening key note address titled "Towards eLearning in Africa: Vision and Imperatives, Myths and Realities" at the "Southern African Network for Training and Research on the Environment (SANTREN)" eLearning workshop in Gaborone, Botswana hosted by the University of Botswana. Uys, P.M. (1999, January). Key note address titled "Towards the Virtual Class in Southern Africa: Vision, Myths and Realities" at the "Technology in Interactive Education (TIE)" conference from 27 - 29 January 1999 in Durban, South Africa organised by the University of Natal. Sanoto, D. and Uys, P.M. (2018). Breaking Learner Isolation, through ICTs in Teacher Education: The case of the Bachelors Degree in Education, Primary, at Botswana Open University. 8th Annual Teacher Education at a Distance Conference 2018. Drakensburg Sun Resort, KZN, South Africa. Uys, P. M. (2014, May). Learning Analytics in an Era of Digitisation: Adaptation for better learning in Higher Education. eLearning Africa Conference, Kampala, Uganda. Uys, P.M. & Parker, S. (2013, November). Integrated Technology Environments for Digital Assessment at Charles Sturt University. CSU Educational Conference "Transforming Assessment: New Landscapes, New Pedagogy, New Students”. 19-21 November 2012. Charles Sturt University, Bathurst, Australia. Uys, P.M. (2012, November). Mobile Learning in Higher Education: Challenges and strategies. CSU Educational Conference " 'Higher Education for a Digital Age: Building connections to enhance learning and teaching.” 5-7 November 2012. Charles Sturt University, Wagga Wagga, Australia. Uys, P.M. (2012, June). Dynamics of a University Educational Technology Portfolio: Sakai at Charles Sturt University. Presentation at the 2012 International Sakai Conference. Atlanta, Georgia, USA. Uys, P.M. (2011, November). Educational Technology Integration at CSU: The current state and potential developments 2011 – 2013. CSU Educational Conference "Transforming university education ". 16th - 17th November 2011. Charles Sturt University, Thurgoona, Australia. Klapdor, T., Uys, P.M. (2011, November). Mobile learning at CSU: Increasing flexibility for our students. CSU Educational Conference "Transforming university education ". 16th - 17th November 2011. Charles Sturt University, Thurgoona, Australia. Uys, P.M., Klapdor, T. (2011, September). The mobile learning potential of the Sakai CLE and Open Academic Environments. 2011 AuSakai Conference, “Towards an Open Academic and Collaborative Environment", 13 - 14 September 2011. Australian National University, Australia. Appert, L, Hardham, G, Hollowgrass, R, Pasch, J, Squillace, B, Uys, P.M. (2011, June). Think Globally, Act Locally: Institutional User Needs Analysis and the Sakai OAE Managed Project. Presentation at the 2011 International Sakai Conference. Los Angeles, California, USA. Uys, P.M. (2011, May - June). Seminars on Increasing options for student learning through the use of mobile devices at the following South African Universities: University of Cape Town, University of Stellenbosch, University of the Western Cape, Cape Peninsula University of Technology, Nelson Mandela Metropolitan Univeristy (Port Elizabeth), University of Pretoria, University of South Africa. Buchan, J & Uys, P.M. (2010, December). Half day change management workshop. Developing strategies to introduce and manage technological change and innovation in higher education towards learning and teaching transformation. 2010 Ascilite Conference, “'Curriculum, Technology & Transformation for an Unknown Future'”, 5 December 2010. Sydney, Australia. Uys, P.M. (2010, June). An ICT-Enabled Learning and Teaching CoP to Expand the Use of Sakai at CSU. Paper presented at the 2010 International Sakai Conference. Denver, Colorado, USA. Uys, P.M. (2010, May). Promoting Knowledge Management and Knowledge Transfer in an Educational Setting. Invited paper presented at the Knowledge Transfer and Retention conference. Ark Group. Sydney, Australia. Uys, P.M. (2009, November). Critical Reflections on Building a Community of Practice about ICT-enabled Learning and Teaching at CSU. CSU Educational Conference "Leading And Learning In Higher Education". 25th - 27th November 2009. Charles Sturt University, Thurgoona, Australia. Buchan, J & Uys, P.M. (2009, September). Full day change management workshop. Strategies for the Widespread Uptake of Sakai in Tertiary and Higher education. 2009 AuSakai Conference, “Sakai as a Scholarly Environment: Pedagogy, Systems, Processes and Outcomes”, 16 - 18 September 2009. Charles Sturt University, Bathurst, Australia. Uys, P.M. (2009, May). Change and innovation strategies during the implementation of Sakai: an Australian case study (pdf 2MB).Also available as a recording (mp4 28MB). Paper presented at the 2009 European Sakai Conference. Stockholm, Sweden. Campbell, M. & Uys, P.M. (2005, November). Building learning communities of practice for professional development in open and distance learning: the CELT experience. The Open and Distance Learning Association of Australia (ODLAA) Annual Conference Breaking Down Boundaries, November 9-11 2005. Adelaide, Australia. Uys, P.M., Magetse, T.L, & Tladi, L. (2003, September). An Overview of Open, Distance and eLearning in Botswana. Workshop on “Distance Education and Network Communication”, Jilin University, China. Molelu, G.B & Uys, P.M. (2003). Development of eLearning at the University of Botswana: Challenges, Achievements, and Pointers to the Future. eLearning Conference, MORUO Communications, Fourways, Johannesburg, South Africa, 27 August 2003. Molelu, G.B & Uys, P.M. (2003). Technological Change in Learning Environments: The Case of the University of Botswana. NTESU Conference, Durban, South Africa, 9 July 2003. Uys, P.M. (1998, November). "Towards the Virtual Class: Technology Issues from a Fractal Management Perspective" at the "Annual Research Symposium of the South African Institute For Computer Scientists And Information Technologists(SAICSIT)" Cape Town, South Africa. Uys, P.M. (2016, April). Poster. Review a Learning Management System Implementation at Charles Sturt University Using the LASO Model. DEANZ Conference, Hamilton, New Zealand. Tulloch M, Relf S, & Uys P. (Eds). (2006). “Breaking down Boundaries. International experience in open, distance and flexible learning. Selected Papers.” The Open and Distance Learning Association of Australia (ODLAA) Annual Conference Breaking Down Boundaries, November 9-11 2005. CSU, Australia. Tulloch M, Uys P, Arthur J & Buckland E, (2005). Unpublished. Towards a leading edge learning environment at CSU: maximising responsiveness and flexibility through blended and convergent learning approaches. Centre for Enhancing Learning and Teaching (CELT), Charles Sturt University. Uys, P.M. (2004, March). Final Draft Report on Result Area 4. Feasibility Study to Develop a National Strategy for e-Learning in Botswana. Government of Botswana. Huelsmann, T. & Uys, P.M. (2002, July). Co-developed on invitation a Southern African Case Study for the Masters Degree course Educational Technologies for Distance Education in Developing Countries at the Carl Von Ossietzky University Of Oldenburg, Germany. Uys, P.M. (2001, December 18). "Consultancy Report for New Facility to House an Open Elearning Centre / Learning Resource Centre and a Library: Francistown CTVE / FTC. Recommended layout for Open Elearning Centre / Learning Resource Centre and Library. Project No 8.ACP.BT.003" to the Ministry of Education, Botswana. Butterfield, S., Chambers, M., Moseley, B., Prebble, T., Uys, P., Woodhouse, D. (1999, July). AAU publication "External Quality Assurance for the Virtual Institution) " (ISSN: 1174-8826). Uys, P.M. (1999, January). University of Botswana: Strategic Educational Technology Plan. The University of Botswana, Gaborone, Botswana. 2000, October. “Towards the Virtual Class: Key Management Issues in Tertiary Education”. Unpublished PhD thesis, Victoria University of Wellington, New Zealand. His thesis is that the effective and widespread use of online learning/networked education in an institute requires a new form of management for all aspects of its operations: Networked Educational Management. The thesis further presents a set of heuristics for managing the implementation of online learning/networked education in conventional tertiary education. In 2001 these heuristics have been incorporated into the new "LASO (Leadership, Academic & Student Ownership and Readiness) Model for Technological Transformation in Tertiary Education". In a time of drastic change it is the learners who inherit the future.